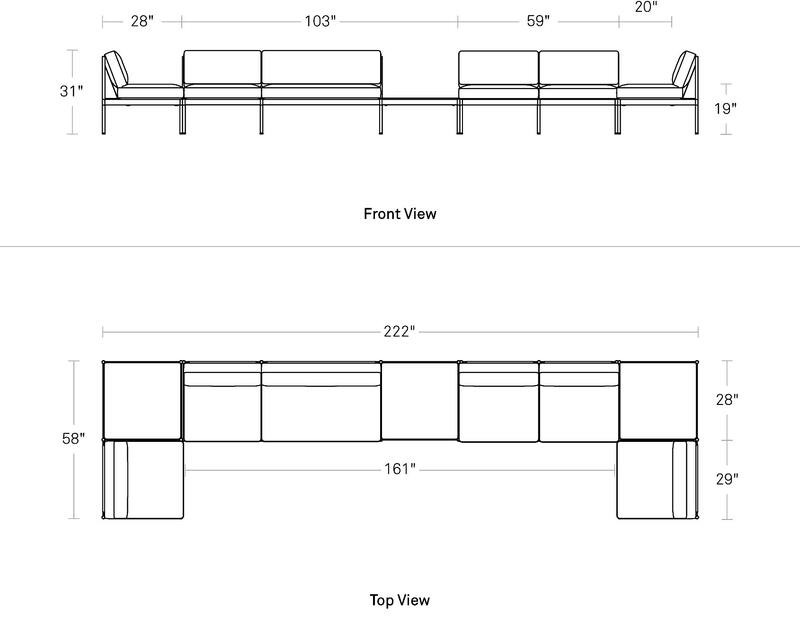 Chassis is a configurable seating system that is capable of being a sectional, a sofa, a loveseat, a lobby or an entire living room unto itself. You decide. Utilizing a metal frame system, loose seat and back cushions, and a fabric back sling, Chassis is elemental and flexible. Utilize the drop-in wood table tops where needed for added functionality.